-Muti functions Smartwatch:Sleep monitoring,Bluetooth ,View Photo ,Sedentary Reminder , Music ,Sound Recording , Intelligent Anti-lost ,Recitation Reminder, Call,Answer Call, Dial Call, Remote Control, Push Message. - Compatibility: Android Mobile Phone: Samsung, HTC, Sony, LG, HUAWEI, ZTE, OPPO, XIAOMI, and so on. iOS Mobile Phone: iPhone 6, iPhone 6 plus, iPhone 5, iPhone 5s , iPhone 4, iPhone 4s (This APP can' t be installed by iOS,IOS system can' t sync SMS and Bluetooth push information, but other functions can be used by iPhone); Android Tablet PC: Samsung, Nexus, Onda, Newsmy, and so on. -Health Management: Sport Pedometer, Sleep Monitor, Sedentary Reminder Assistant, help you record all day activities. - For iPhone, it can be paired with phone via Bluetooth, but there is no corresponding APP, it only supports partial functions, There is no push notifications from social media messages.under 30usd reliable and gift watch,perfect for friends.We will offer you LIFETIME WARRANTY of our smart watch, purchase it without any worries. 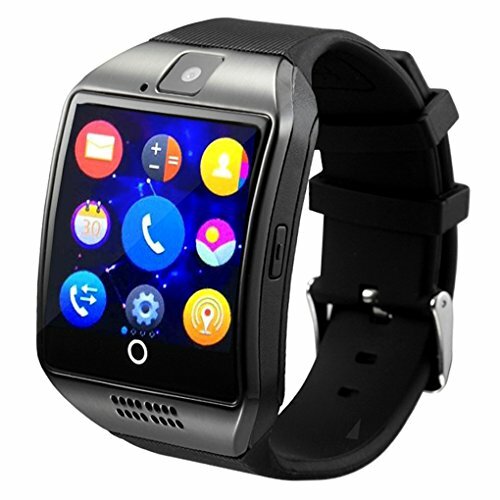 Our bluetooth smartwatch is your best choice, you won't regret. Go and get your lovers a big surprise! If you have any questions about this product by YOKEYS, contact us by completing and submitting the form below. If you are looking for a specif part number, please include it with your message.